The Cowboy Way takes the stage at the REP Theatre in Newhall in this latest installment of the OutWest Concert Series, hosted by Jim and Bobbi Jean Bell and sponsored by SCVTV. Returning as part of “Thursdays in Newhall” the fourth Thursday of January 2016, SCVTV Presents The OutWest Concert Series continues at the Repertory East Playhouse for another year of the best of Western music. 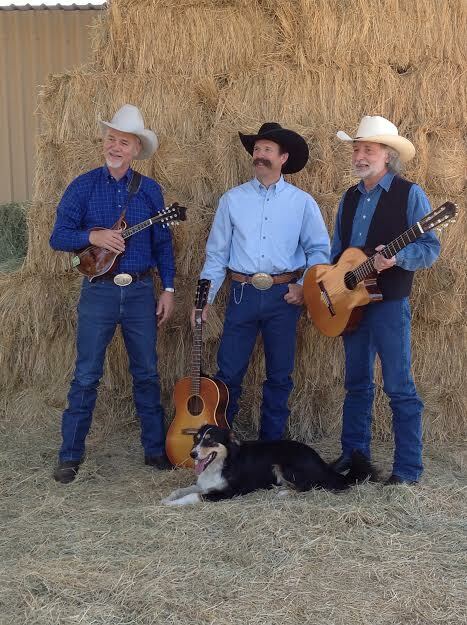 Combining the musical talents of New Mexico artists Jim Jones, Doug Figgs and Mariam Funke, The Cowboy Way serves up a wonderful blend of music to the delight of folks who enjoy great songs, great harmonies and amazing musicianship. You’ll hear your favorite Country and Western tunes, both contemporary and classic, mixed with originals that will have you tapping your feet and singing along before the song is over. In their seamless harmonies, which won them the Western Music Association’s 2014 Trio Harmony Award, you’ll hear traces of everything from the Eagles to Bluegrass to Southern Rock. Jim Jones is a multi-instrumentalist and Mariam Funke is an amazing guitarist. Doug Figgs has that smooth cowboy style and the experience to go with it. Both Doug Figgs and Jim Jones are award-winning singer/songwriters and their original songs will put you right smack dab in the middle of the Western life. With just a little imagination, you’ll be horseback before you know it, without having to worry about being bucked off. You’ll have a blast! The Repertory East Playhouse is located at 24266 Main St. in Newhall. Reservations are recommended. General admission is $25, and members of the Western Music Association, Santa Clarita Valley Historical Society and Friends of Heritage Preservation get in for $20. SCVTV Presents The OutWest Concert Series features top performers of Western, Swing and Americana Roots Music in Old Town Newhall’s intimate Repertory East Playhouse. Thanks so much to SCVTV and Outwest/Jim and Bobbi Jean Bell for letting us share our music with the great folks in California. We had a blast. Wahoo!! Thank you, SCVTV, for capturing this special evening with THE COWBOY WAY: Jim Jones, Doug Figgs, Mariam Funke!